Please join HCUK and the How to: Academy for a fascinating talk with Lisa Randall, superstar physicist and Professor of Science at Harvard University, whose new book was one of Brainpickings science books of the year: a thrilling cosmological detective story of how the universe evolved and what made our very existence possible. Based on her book Dark Matter and the Dinosaurs, this talk will describe how 66 million years ago, a ten-mile-wide object from outer space hurtled into the Earth at incredible speed and destroyed the dinosaurs, along with three-quarters of the other species on the planet. Where did it come from, and why? And how is this connected to dark matter – the most mysterious, elusive stuff in the universe that interacts with gravity like ordinary matter but doesn’t emit or absorb light. Astronomers know it’s there but it is literally invisible. Dark Matter and the Dinosaurs tells the story of Big Bang theory, cosmological inflation, the makeup of the universe and our solar system’s place in it; it’s about mass extinctions through the ages, what we know has hit the Earth and what might hit us in the future. And it explores the radical idea that dark matter might ultimately have been responsible for the dinosaurs’ extinction. 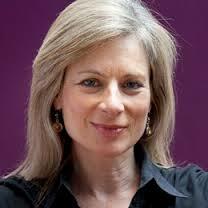 Professor Lisa Randall is an American theoretical physicist and the Frank B. Baird, Jr. Professor of Science at Harvard University. Randall’s studies have made her among the most cited and influential theoretical physicists in the world. She is the author of several acclaimed books on physics including Knocking on Heaven’s Door: How Physics and Scientific Thinking Illuminate our Universe and Higgs Discovery: The Power of Empty Space. Her book Warped Passages: Unravelling the Mysteries of the Universe’s Hidden Dimensions was included in the New York Times’ 100 notable books of 2005. Randall was also listed as one of Time magazine’s ‘100 Most Influential People’ of 2007 and featured in Newsweek’s ‘Who’s Next in 2006’ as ‘one of the most promising theoretical physicists of her generation’.